My hard work with climbing and photography has finally paid off. 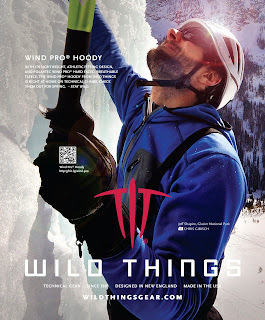 I have been given the opportunity to represent the company Wild Things gear as a climbing ambassador. With that, my photography is getting more exposure. They recently ran an ad in the current issue of Alpinist featuring one of my pictures. That’s great news, Chris, congrats!